EPIC Centenario traveling down the freeway to Newport. First one in the US and one of only 20 coupes!! I thought Dan only had three Zondas, two Cinques and a Tricolore. Amazing spot, pretty insane that you actually got to see it driving on the road instead of just leaving a show. L/F for sure! EB-01: Any man living in the U.S.A. who owns four Zondas must have one of the best collections. Well I guess each car collector is unique in their own way. @rivi3 Trust me, I would have like to have kept it. However, I hate being told what to do. So it had to go! I started my own Instagram under my own rules, it's @bhexoticspotter! First Centenario in the US and I'm not disappointed. And agreed with @King_AM , Dan is killing the hypercar game. He's almost tied with David Lee! Wow. 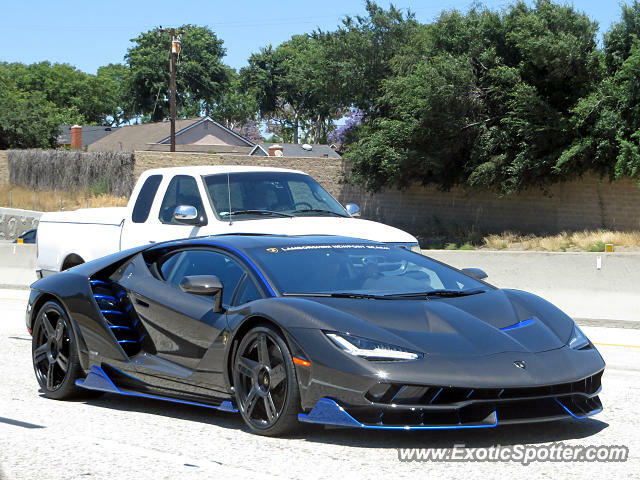 thats one nice Aventador bro! Dude if you hadn't deleted your AG, you would have had the first Centenario spot in the United States lol. Insane spot!!! Wow absolutely amazing, L+F !! Gave it 7/7! Incredible find! find of the week!! awesome find! !